In this page, as in others, the limits of the period covered generally by this volume have been exceeded. 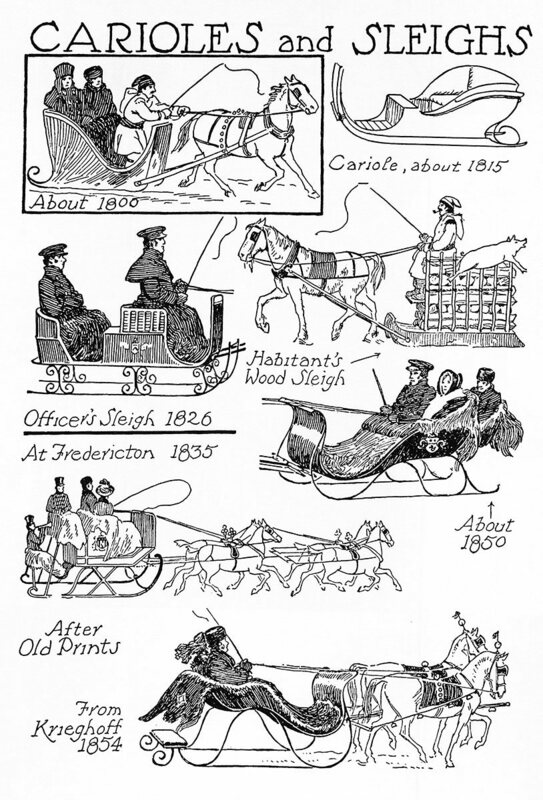 This has been done in order to show some of the changes in style which the sleigh has undergone during the last century. 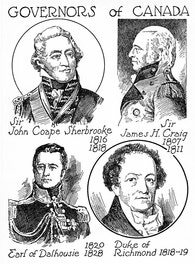 Officers of the British Army stationed at Canadian garrisons organized sleigh clubs and held driving parades through the towns and the adjacent country, accompanied by their wives and the ladies of the locality. The officers vied with each other in fine horses and handsome sleighs, which sometimes bore on their sides the coats-of-arms of their owners. Robes of bear or buffalo fur protected them from the cold. Tandem teams were fashionable. 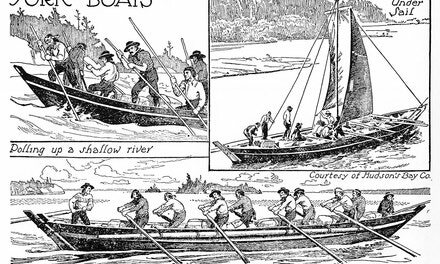 The earlier sleighs had low-seated bodies resting on heavy wooden runners shod with iron. Cariole was the French-Canadian name for these vehicles. The habitants brought their produce to market on heavy wooden sledges, furnished with upright stakes at the sides roped together to hold bags of grain, cord wood, or bales of hay, often surmounted by the frozen carcasses of pigs, and drawn by a single shaggy-coated Canadian pony. Innkeepers on the main roads kept relays of post horses for travellers. In time the body of the sleigh and the seats were elevated on straight iron supports above the iron runners, until they reached a height that made upsets frequent. About 1850 the supports took graceful curves, as may be seen in Krieghoff's prints and paintings, which show the wide varieties of shapes used by all classes.